The announcement of new corporate logos are often a dull affair. It's often meant to signal some kind of shift in business strategy, but more often than not it feels like a self-masturbatory maneuver. Yes, we see that you've grown, and it's great that you're doing well, but using a new font doesn't actually mean your company intends to go about things any differently than they have. This is the kind of environment that eBay's announcement that they have a new logo exists within. So, huzzah for them. Strong brands don't often change their logos. Recognizing a product at a glance is of utmost importance, so it makes sense that Microsoft has kept the same logo for the past 25 years. During their corporate rise, a solid, unchanging logo meant that everyone knew when something was a Microsoft product. After a quarter of a century, Microsoft is changing things up; they've unveiled a new logo. Cartoonist Adam Koford, otherwise known as Ape Lad, is a story artist at Disney Interactive, but also takes his cartoonist talent and freelances like a rogue illustrator running from various forms of illustrator prohibition, leaving behind impressive calling cards in his wake. 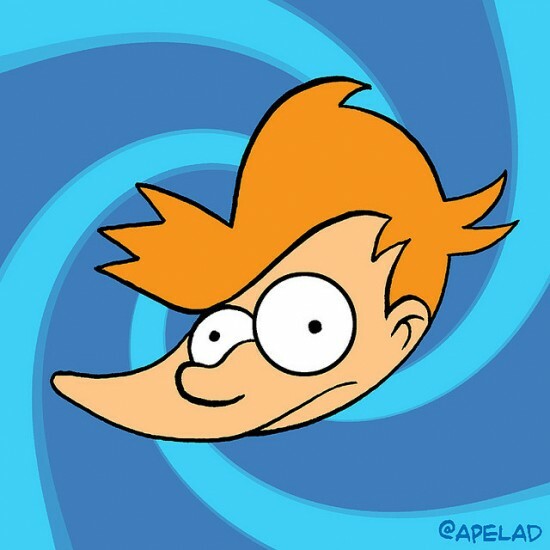 Now that Twitter has changed its logo to something slightly different and doesn't want us to modify it in any way, we can appreciate Ape Lad's cache of modified old Twitter logos, from Philip J. Fry, to Yoda, to Cthulhu. Check them all out after the break. Taking a cue from jaded high school students and most college students, it turns out the Gmail logo was designed the night before Gmail launched. According to a post on Quora, Google designer from 2003 to 2008 Kevin Fox said that Gmail logo designer Dennis Hwang was up designing the logo literally the night before the product launched.